to the old mill... and a nearby shop... ooooh I see the tablescapes... yesssss... they are for sale in a SHOP... is yours part of the collection... if not perhaps it will be added if you ask... YESSSSSSSSSSS... you can have YOUR tablescape in NOTECARDS!!! Email moi for more information!!! Now off you go to visit other Tablescape Thursday via Between Naps on the Porch... and come back tomorrow for a day of FASHION and a PAINTING GIVEAWAY to ONE lucky winner!!! Always enjoy my visits to your place. Your tablescape painting are fabulous. Thanks for sharing. Happy Tablescape Thursday and hope to see you at my place to toast Susan on her anniversary. I adore your works of art Fifi! 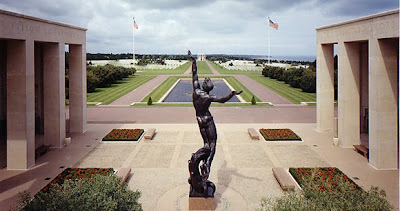 I had never seen a view of the Normandy American Cemetery and Memorial until now. Thank you for sharing. 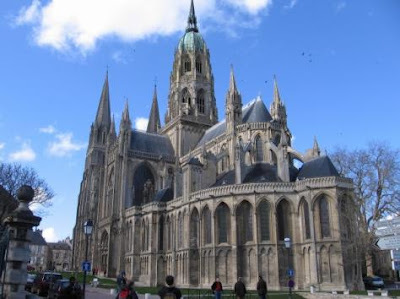 Isn't Normandy fabulous? 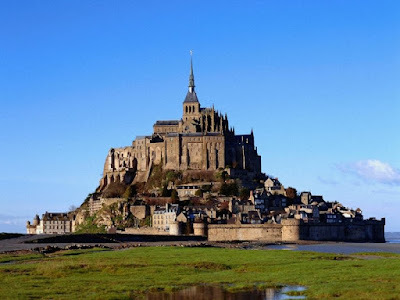 I think a lot of people miss visiting that area when in France. 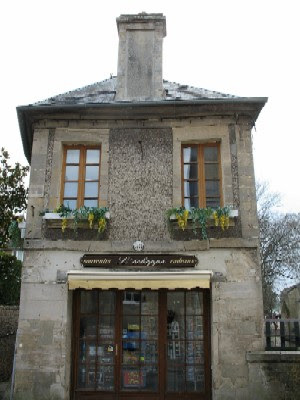 Amazing pictures and art work ummm Normandy is now on my list of must see. Have a wonderful day. it's a very beautiful and special place. i love your painting! This is my first visit to your blog and enjoyed it so much. The pictures are beautiful! I look forward to stopping back. Your tablescapes are beautiful Fifi! The picture of the cliffs is fabulous. Beaitufl pictures, Fifi. I am attracted to that shop! Take me away to these fabulous sites. Beautiful pics, and your tablescape paintings are wonderful! 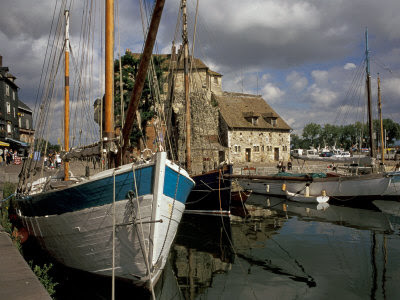 The Normandy of France is truly intriguing. look at those cute homes! thanks for the lovely visit to Normandy, Fifi! p.s. : I'm giving away a gold leaf pendant. don't miss it! Oh, how beautiful .. and I took the picture with my Nokia cell phone. I wish I had many more wall;s in my flat to put many more of your joyful paintings! I have a post coming on August 23 about your painitng of my pciture! Faboulous photos and painting!!! Normandy looks fresher than here...40° today! A very interesting post today. 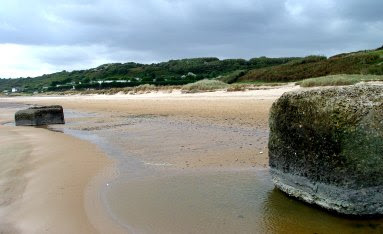 Love all the photos of Normandy even Omaha Beach, and also your painting is wonderful. Hi Dear Fifiness! 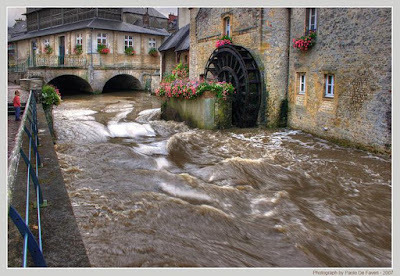 Oh, what lovely picture of Normandy. There you go again creating tablescape magic. Fifi, that scenery is breathtaking - I hope I get to go one day. :) The one with the cliff near the ocean is gorgeous! Your photos are beautiful. 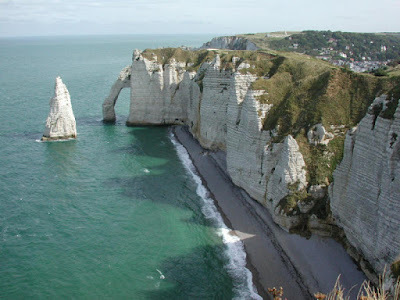 Thank you for sharing them, as I have never seen Normandy from your perspective. You painting of the Old Mill, looks fab. It's interesting that you came by today, because the past two days you've been on my mind! As always --- lovely, lovely, LOVELY! 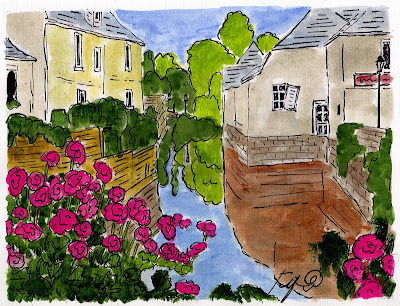 I always dream of France after visiting your blog, FiFi! Love the tablescapes, wish they were bigger so I could see them better! thank you for taking us on your trip to Normandy. The photos and your painting are wonderful. Oh, I've been in all those very places in spring 1997! Missed the last bus going from Mt. St Michelle back to town and had to walk the whole way, starving to death, on a Sunday when nothing is open, while the cows stared at us quizzically as we hiked back to the ville. Beautiful post as always! You should be appointed France's goodwill ambassador to the WORLD! Wow! Your art is wonderful! As I sure as many have said! Love it!